Bundle your broomsticks, wave your wands, and head to Hogwarts—J. K. Rowling brought magic into the world with Harry Potter and the Philosopher’s Stone 20 years ago. Libraries across the US and worldwide are celebrating the anniversary by hosting events from Quidditch practice to themed galas. The first book of the seven-book series by J. K. Rowling was published on June 26, 1997, in the United Kingdom. That same year, Scholastic Corporation bought the US rights and published the book as Harry Potter and the Sorcerer’s Stone a year later. The series has since been translated into 67 languages and sold more than 400 million copies worldwide, according to Scholastic’s website. At Fort Smith (Ark.) Public Library (FSPL), each branch hosted one signature event throughout the week of February 6. All branches hosted a wand-making workshop on the final day during which people could paint clay wands made and baked by the library. In the books, the sorting hat places first-year students into one of the four Hogwarts houses: Gryffindor, Hufflepuff, Ravenclaw, and Slytherin. Students from each house live together and often take classes together. Visitors to the main library were treated to a meet and greet with the University of Arizona–Fort Smith Quidditch team, who came to the event in their uniforms. The team also helped sort participants into their four houses. Benham says one of their employees who has since graduated was a member of the team, so when the planning started, she knew she had to include the team in the event. “They’re timeless,” says Benham of the Harry Potter books. “They’re always checked out, so I’m always having to reorder either [because of that or] because the books just get worn out.” She adds they make sure all books in the series are available at each of their four locations. 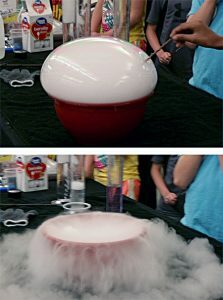 On June 3, the Akron-Summit County (Ohio) Library transformed its three-floor main library into the fantasy world for its first ever Potter Faire Akron. 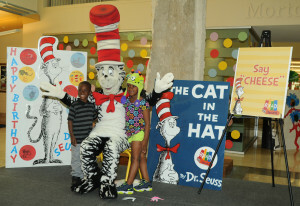 The event coincided with its summer reading kickoff. “We’ve named every [activity station] after a place in Hogwarts or Harry Potter,” says Downtown Services Manager Patricia Marsh. Visitors used a Marauder’s Map to guide them through the building and the scavenger hunt to earn points for their houses. Kent State University history professor Matthew Crawford talked about magical traditions of the Renaissance at Potter Faire Akron and how they were incorporated into science and medicine. The Akron Global Polymer Academy taught a Potions class—that’s chemistry for Muggles—on acids, bases, and sports drinks. 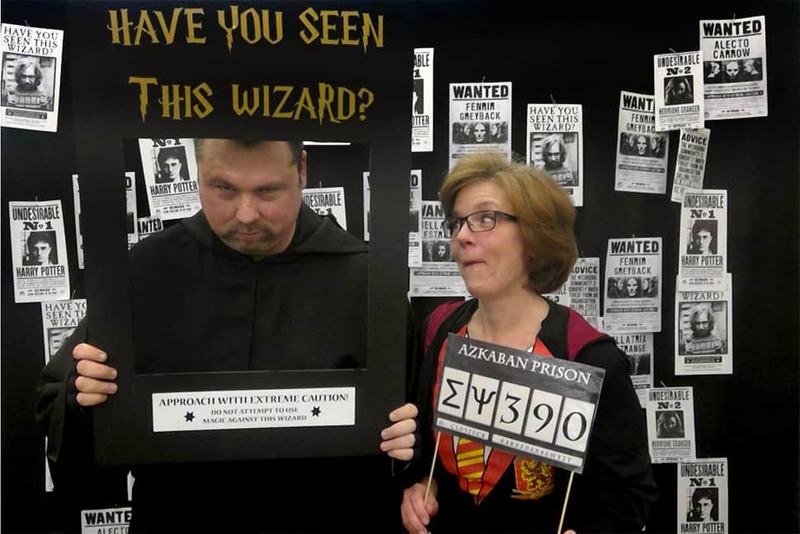 New Lenox (Ill.) Public Library adopted the Harry Potter theme for its ninth annual Spring Gala and Fundraiser, hosted by the Friends of the Library on April 8. Each year the group chooses an author or book as the theme for its gala, according to Director Michelle Krooswyk. The library provided hors d’oeuvres and music and hosted a raffle and silent art auction. “It’s been very fun to see the progress [of Harry Potter’s growth] and also call attention to the library as the home for it and being a place where people can share and enjoy it together,” says Krooswyk. The National Library of Medicine History of Medicine Division will host a lecture series featuring Stephen Greenberg, section head of rare books and early manuscripts, and Elizabeth Bland, curator of the library’s exhibition, “Harry Potter’s World: Renaissance Science, Magic, and Medicine.” Greenberg and Bland will speak on June 27 and June 29 respectively, as part of a weeklong celebration. Greenberg says the initiative for the exhibition began a few days before the publication of the seventh book in the summer of 2007. He says making the medical research library relevant to kids is always a challenge, and on that day was faced with the difficult task of giving a tour to a group of middle school students. Greenberg showed students an alchemy treatise attributed to Nicolas Flamel, the real-life medieval alchemist said to have created the Philosopher’s Stone. That visit inspired staff members to put together a “mini-exhibition,” as Bland calls it, of early printed books with Harry Potter connections, which they put on display in cases before the seventh book came out. For the next two years they expanded on the concept and developed panels for a traveling exhibition. The panels began touring the country in 2009 and are currently booked until 2018. “There are a lot of resources for secondary education … but it was really to get a more diverse audience,” says Bland. The exhibition comes with additional modules that can be adapted into lesson plans. 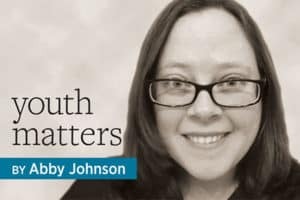 She says it was a way to show people that the History of Medicine Division is more than a collection of research because it provides an insight into the kind of questions people ask in the world. The New York Academy of Medicine Library will release a collection much like that of the National Library of Medicine, called How to Pass Your O.W.L.’s at Hogwarts: A Prep Course. The collection, which will only be available digitally, is set to be released on June 26 and will be organized according to Hogwarts course. For example, information on dragons, unicorns, and basilisks will be found in Care of Magical Creatures. Likewise, materials on mandrakes and poisonous plants like wolfsbane will be found in Herbology, the Hogwarts plant studies class. Harry Potter will of course be celebrated in its birthplace. The British Library will open its own exhibition on October 20, according to a press release. It will feature library collections alongside never-before-seen original drafts and illustrations by Rowling and illustrator Jim Kay. What are your libraries doing to celebrate Harry Potter? Let us know in the comments. Goblet of Fire: A cup full of flames used to select contenders for the Triwizard Tournament. Herbology: A class on the study of plants. Hogwarts: The Hogwarts School of Witchcraft and Wizardry trains young witches and wizards in magic. Students attend for seven years beginning at age 11. House: The four houses—Gryffindor, Hufflepuff, Ravenclaw, and Slytherin—are named after the four founders of the school. Students of the same house live and often take classes together, and most famously, compete for points to win the House Cup at the end of the school year. Marauder’s Map: A map that shows the secret passageways and the whereabouts of everyone in Hogwarts. Muggle: A person without magical abilities. O.W.L.s, or Ordinary Wizarding Levels: The standard-level examinations for fifth-year students at Hogwarts. Potions: A class on how to brew magical potions. This class was taught by Severus Snape during Harry’s first five years. Sorcerer’s Stone: A legendary stone with the ability to turn any metal into gold. It also produces the Elixir of Life, which makes the drinker immortal. Sorting Hat: The hat that decides which house students will be in while at Hogwarts. Triwizard Tournament: A competition between the three largest European schools of witchcraft and wizardry: Hogwarts, Beauzbatons, and Durmstrang. Each school chooses a champion to compete in the three magical tasks of the tournament. Quidditch: The wizarding national sport played on broomstick by two teams of seven. Players try to score, knock other players off their brooms, defend, and catch the Golden Snitch. The game ends when the Snitch is caught. Wand: An instrument used by witches and wizards for magic.